Use your mouse or touch pad to rotate the image 360 degrees! 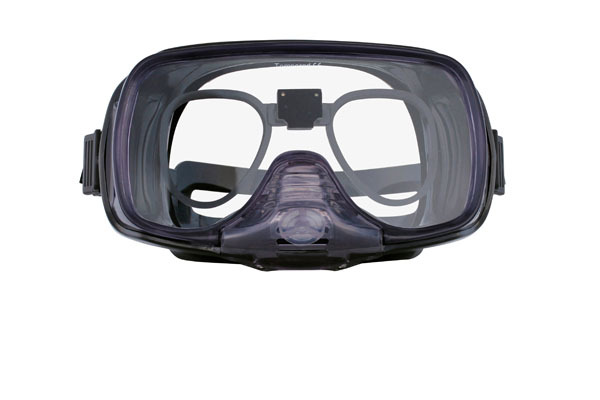 The #199EB Scuba Spec insert attaches to the mask’s faceplate using an anchor bracket. This anchor bracket is bonded to the faceplate’s inner surface using silicon adhesive (clear aquarium glue). 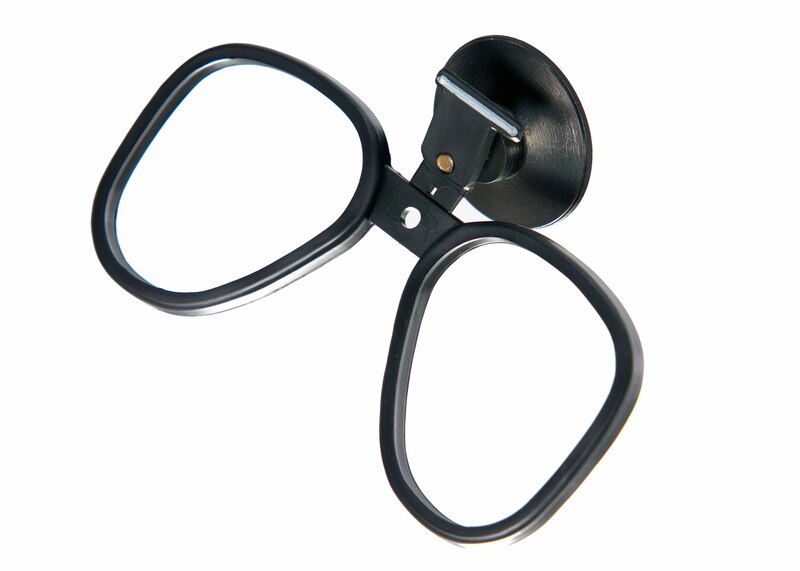 The spectacle frame snaps on/off of the anchor bracket. 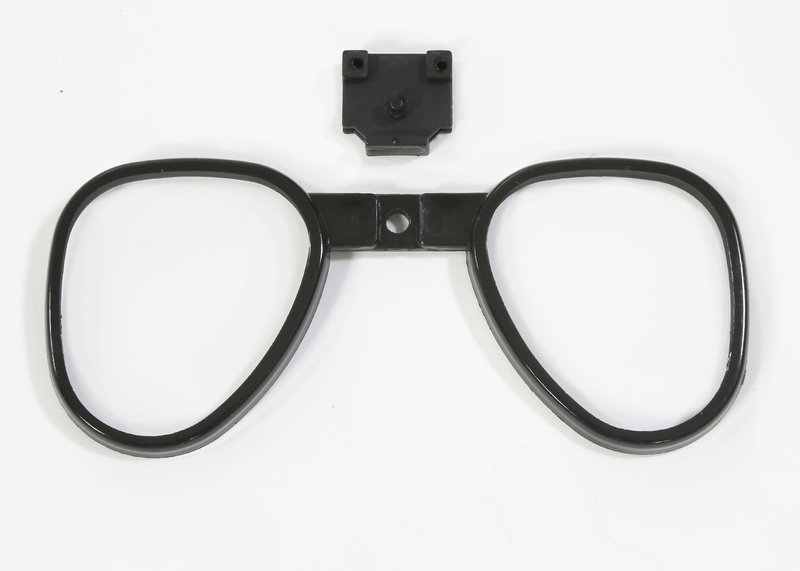 Additional anchor brackets can be purchased so that a single spectacle frame can be used in multiple masks. 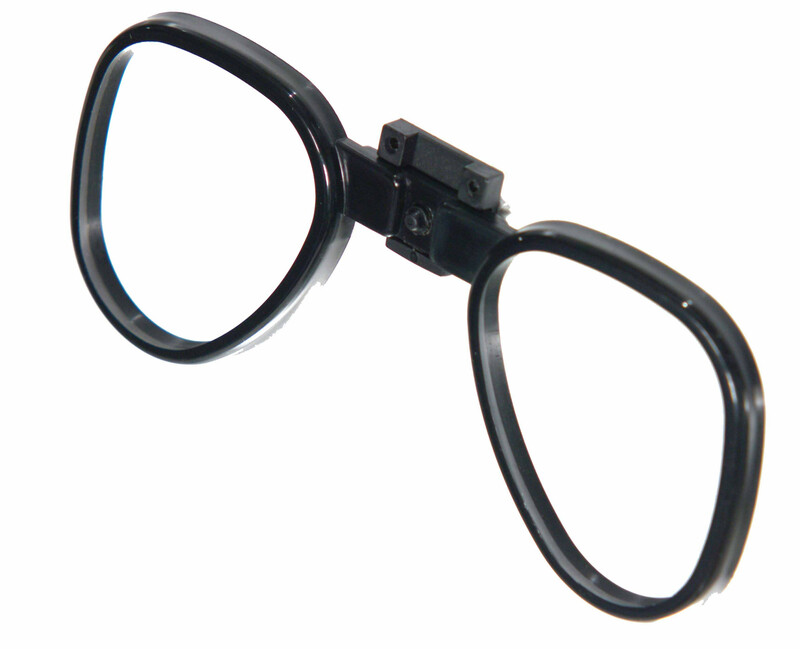 Click here for frame specs. The #276 Smoke Spec insert fits most full-facepiece respirators.